If you ever thought you would like to read other peoples minds--this book will change your mind in a New York second! I have read all 3 of this series and it has me VERY nervous. It is too close to what actually might happen if a way was found to give everyone on earth the ability to read minds. Nick Hall, who has this ability, wishes he couldn't and who can blame him. I mean how would you be able to tolerate a million voices all resonating at once in your mind! He is used by the government---then hood winked by them. A major crime boss is after the science so he can sell it to the highest bidder--actually there is another fanatic after it too. And there is a soldier who is given this ability--he ultimately disappears--hum--another book for this series? If you enjoy Sci Fi and non stop action all loosely based on fact-you will love this series. Each can be read as a stand alone of you want-but my suggestion is to read them in order!! Nick Hall returns in a riveting stand-alone thriller, set in a stunning future that is rapidly approaching. 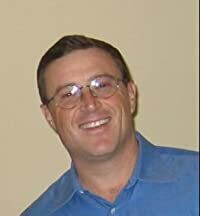 From the NY Times bestselling author whose books have been downloaded over a million times. Nick Hall has revolutionary electronics implanted in his brain that allow him to read minds—including thoughts, memories, and even intent. He can know the passwords, future strategies, and innermost secrets of anyone he chooses, making him the most formidable man alive. But his status as the only mind reader in the world is about to change . . . Soon Hall is fighting for his life as he races to stop an unimaginably despicable terror plot. But his problems are only beginning. 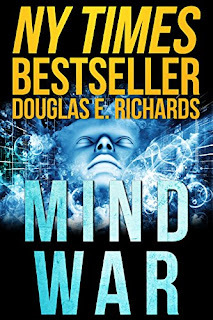 Because when a member of his inner circle betrays him, and the secret to mind reading leaks out, he is forced to wage war against a merciless mind reader of nearly unequaled brilliance. One who will stop at nothing to kill Hall, his colleagues, and the woman he loves. And one who is intent on ushering in a dramatic transformation of the human species—even at the cost of billions of lives. 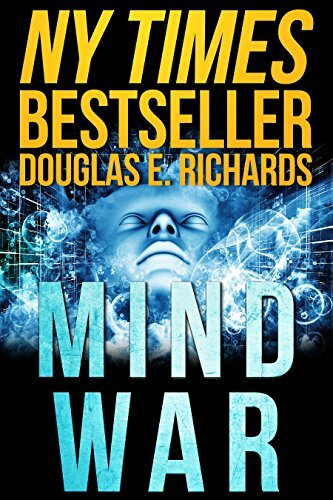 Based on actual research on computer-assisted mind reading, MindWar is a roller-coaster ride of a thriller. One that raises a number of intriguing possibilities about a future that is just around the corner. I love science fiction, and the idea of sharing a book with my daughter is really appealing to me! Now this is more my style. None of those romances - give me a good sci-fi! Sounds like another great thriller. Just asking, how do people think these things up? lol This sounds like a book for my 2nd on. Looks like books are going to everyone this year. They'll appreciate them. Sounds like and interesting read and something my son would enjoy. I'll have to add this to his list of Amazon books. Thi sis cool. I always said I would love to read other peoples minds but I wanst sure if I really wanted to know. I may read this! Sometimes people look at you like they can read your mind - I hate that. I think this book might just freak me out a little, HA! I don't like to read other's mind, but I'd love to read mind power due to its uniqueness. May be I'll also the whole series because it is tempting to know the power of mind and perspective. Action and sci-fiction are my favorite too. So, there is no reason to ignore or avoid this book. I'd read it. This sounds like a book I might enjoy. I am a bit selective about my science fiction but this sounds like it has some thriller mystery in it too. Sounds like an interesting read. I think my daughter might like this book. It's great to find a series you like. This does sound like it has a great storyline going on.